Colon health is fundamental to overall well-being. 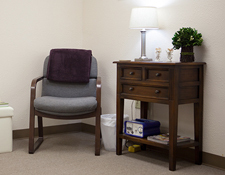 Colon hydrotherapy (also referred to as colonic, colon irrigation, colonic therapy, colon cleansing, or colon detoxification) is a safe and effective method for cleansing the colon of waste material. Used in combination with a proper nutrition and regular exercised, regular colon cleansing can be a powerful tool for breaking unhealthy habits and maintaining optimum health throughout your lifetime. Allergies, arthritis, back pain, constipation, gas and bloating, depression, diarrhea, fatigue, headaches, hemorrhoids, immune challenges, irritable bowel syndrome, leaky gut, skin conditions, even weight fluctuation / stagnation, or yeast, parasites or candida? Some individuals use colon cleansing to prepare for a medical procedure such as a colonoscopy, pre surgery etc. OrganiCleanse Wellness Center has chosen the Woods method because we believe in the gentle power of gravity fed water to cleanse the colon. The results are dramatic but the process is not traumatic. This “closed” gravity method allows for the simultaneous intake and exit of water throughout the treatment session. This prevents water retention and discomfort, especially for those with a weak intestinal tract. This simultaneous exit of water guarantees an effective, calm and healing experience to gently “exercise” the colon and stimulate is natural peristalsis which one of the foundations of a healthy digestive system. The Woods Gravity Method creates a release that is always twice as strong as the intake. Pay attention to your body during this process and you’ll realize you’re much more aware of what’s leaving than what’s entering. 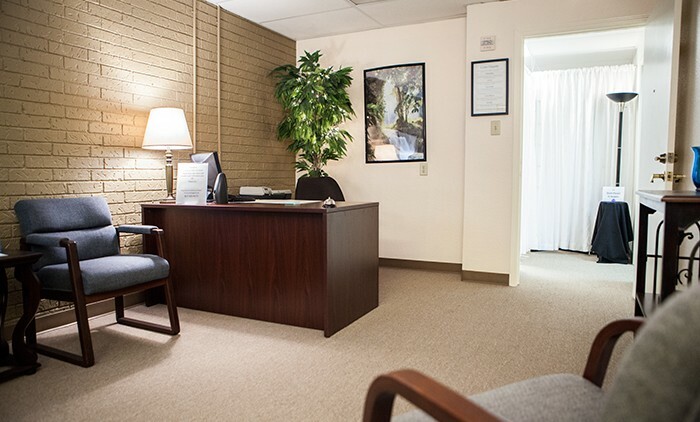 A colon therapist is present throughout the entire process guiding you through the experience to maximize the effectiveness of the treatment session. 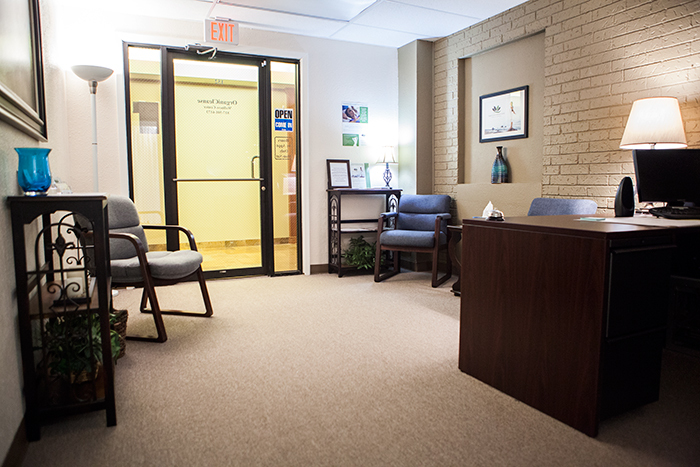 Our staff of caring, gentle and conscious therapist will make you feel at ease during your visit. Become a better you, give us a call we can help! 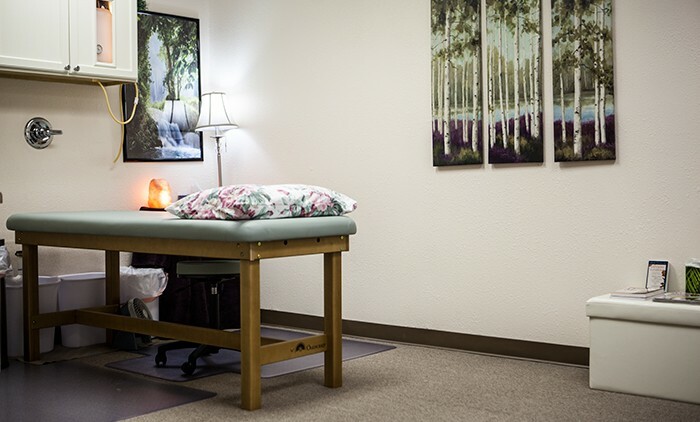 Included within your session is a very beneficial complimentary treatment: the “Immune Booster Therapy” which includes Sun Ancon Chi Machine that oxygenates, tones, strengthens the body, increases energy, balances the spine, increases alertness and reduces stress. 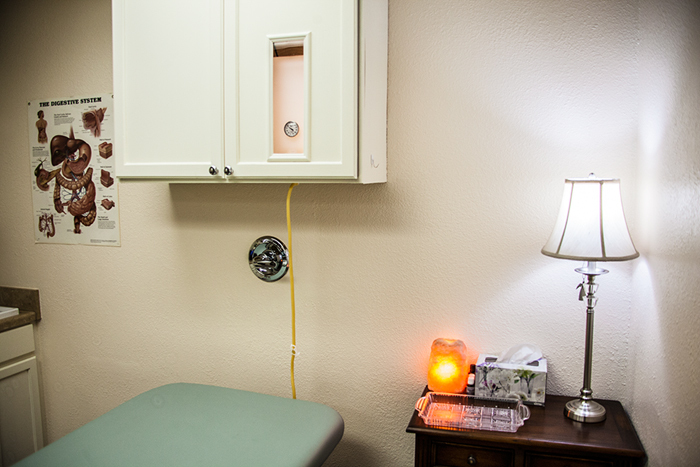 This process aids in the relaxation and overall effectiveness of your colonic (colon hydrotherapy, colon therapy) treatment. Client must arrive 10 minutes before their scheduled appointment to complete all paper work. Following a good colonic (colon irrigation), your normal bowel movements should return within 24 hours after your first meal. When bowel movements don’t return for a few days this is a strong indication that more extensive colon work is needed to remove debris and increase muscle tone (remember, the colon is a muscle). Drink as much purified water as you can. Half your body weight in ounces. Reduce or stop consuming dairy and flour products, meat, alcohol, carbonated drinks, salt and sugar. 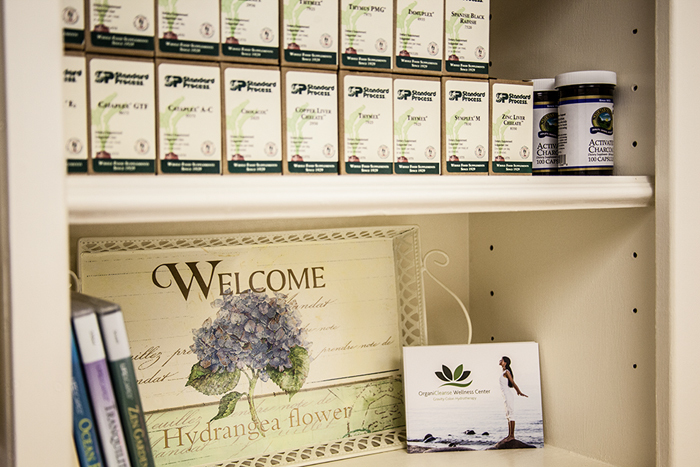 Supplements are not usually necessary prior to your first colonic. Try not to eat for at least two hours prior to your appointment but if necessary, eat a very light meal. Consider the Lymphatic System your essential link to a healthy immunity! Researchers in the health field have discovered a tool that can assist and amplify the effects of manual lymph drainage, reducing the time and complexity of the therapy. The tool is an electronic device called the Lymphstar Pro®Lymphatic Therapy Instrument. Lymphatic therapists who tried the Lymphstar Pro immediately noted that it could be up to eight times faster at relieving edema and congestion than MLD alone! The Lymphstar Pro is a therapeutic, vibrational, massage instrument with a unique combination of energetic modalities. They are: 1) physical vibration with sonic, or acoustic, waves, 2) an electro-static field; and 3) electro-pressure created by the use of multiple treatment points. All of these emissions are extremely low in energy so they are gentle and safe. Subtle energies like these may be called “vibrational energy,” as they are at a level more perceptible to the energy system, or bio-field, than more aggressive modalities used to treat the body. However, by their very nature, the lymphatic vessels tune into and respond beautifully to this kind of energy! The lymphatic system is the most underrated part of our circulatory system. Our bodies contain about 50% more lymphatic fluid than blood, yet sadly many healthcare practitioners/medical organizations rarely consider the critical role lymph plays in preventing disease and keeping us healthy. The lymphatic system has three primary functions. First, its cells are primarily responsible for the immune response of the body. For this reason the lymphatic system is frequently called the immune system. Second, the vessels for the lymphatic system actually represent a separate circulatory system in the human body. Unlike the cardiovascular circulatory system, the lymphatic system does not directly supply nutrients or oxygen to the tissues of the body, rather is primarily involved in the return of fluids from the tissues which includes the protein-rich fluid that escapes from the circulatory system’s blood vessels. Finally, the lymphatic system is involved in the transport of select nutrients from the digestive system to the circulatory system. The lymphatic system includes lymph fluid, lymphatic vessels, lymph nodes, lymphocytes, tonsils, the spleen and the thymus gland. The lymphatic system pumps 2-4 liters of lymph each, though the flow rate and volume may vary especially if lymph nodes are removed, damaged or destroyed. The lymphatic system contains about 50% more lymphatic fluid than blood. Your lymphatic system is your primary defense against bacteria, viruses and fungus. Up to ten times as much virus resides in the lymph system as in the blood. Your lymphatic system contains over 600 collection sites called lymph nodes. Most chronic disease occurs at the junction of the lymph vessels called the lymph nodes. If you suffer from two or more of the following then, Lymphatic Enhancement Therapy may be right for you! What is the Aqua Chi Detox Foot Bath? The Aqua (water) Chi (energy) Foot Bath is a self contained, easy to use, highly technical water detoxification system which utilizes negative ions. The Aqua Chi Machine Foot Detox Bath uses brass and stainless steel electrodes to cleanse, balance and enhance the bodies bio-energy. Bio-Energy is the electro-magnetic force that is stored within our bodies and is the energy utilized by our cells. These complex energy fields permeate and realign the body’s energy fields while improving our oxygen levels. 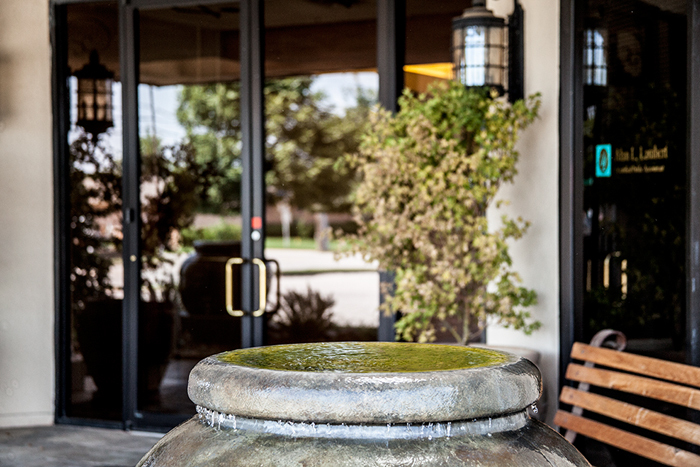 The Aqua Chi Ionic Foot Bath is widely used to increase energy and stamina, while purging our bodies of toxins. This elimination of toxins has resulted in less body fluid retention, reduced inflammation, improved memory, a more balanced pH, a stronger immune system, and has been significant in pain relief. 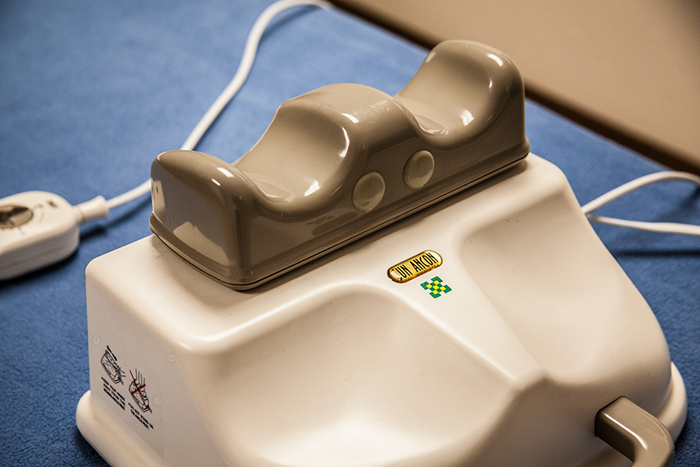 The cleansing process of the Aqua Chi Machine Foot Bath can actually be seen through the reaction of the water. Water, salt and the metal in the unit interact with each other to produce ions. These ions neutralize everything they contact, including the toxins that are in the tap and filtered water you may have used. 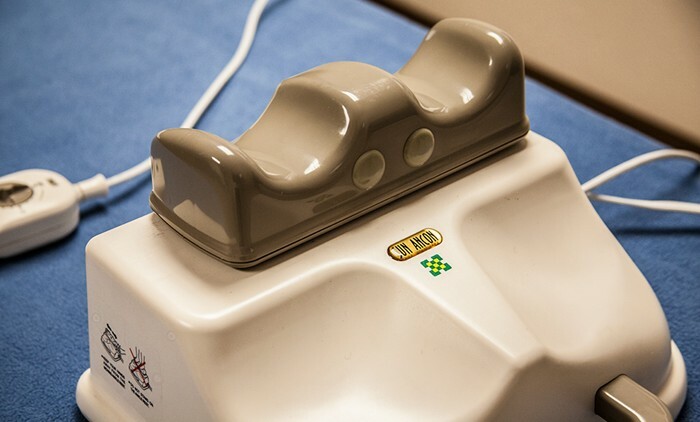 The process the Aqua Chi Foot Bath uses, results in the correct frequency required for cells to return to a healthy state allowing them to release toxins. The human body is electric because our cells are electric. Disorders and diseases affect cells giving them a vibrational frequency that is not compatible with healthy cells. This frequency disrupts the cells’ natural oscillation and polarity creating imbalances and chaos within each affected cell. When cells are in an imbalanced state, they are unable to perform the body’s functions that are needed for healing. When cells are fully charged, they have more oxygen and are able to experience an electrical balance. This balance increases our sense of awareness and allows our bodies to function more properly. The water is the capacitor for the energy, so our bodies absorb the energy from the water. Research has shown that an increase in the number of negative ions will have an overall balancing effect on our cells. Ions are atoms or molecules that have lost or gained electrons. If the atoms or molecules lose electrons, they become positively charged ions. If they gain electrons, they become negatively charges ions. The ionic technique of the Aqua Chi Foot Bath provides this energy through our feet. Water, having a most nearly perfect balance of positive and negative ions, and our bodies being composed of 70% water, makes the interaction of our bodies with water extremely high. When you immerse a body mass into water, the vibrational frequency of the water will affect the vibrational frequency of the body. This is due to the interaction of the electrical and magnetic fields. Call and book your appointment today! Join the Oxygen craze! While relaxing during your Chi Session we have added another healthy benefit to the mix. Your own personal Oxygen Bar. 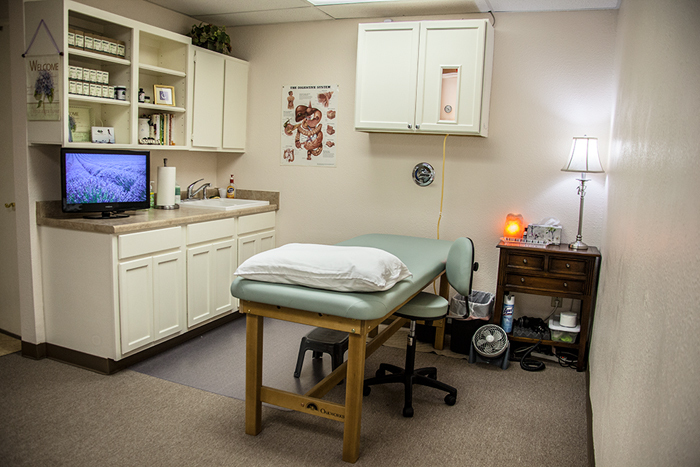 These two modalities will enhance both your Colon Hydrotherapy session and your Lymphatic Drainage session. By joining the ranks of healthy food and clean filtered water, the benefits of oxygen includes increased energy, alertness, and reduced stress. 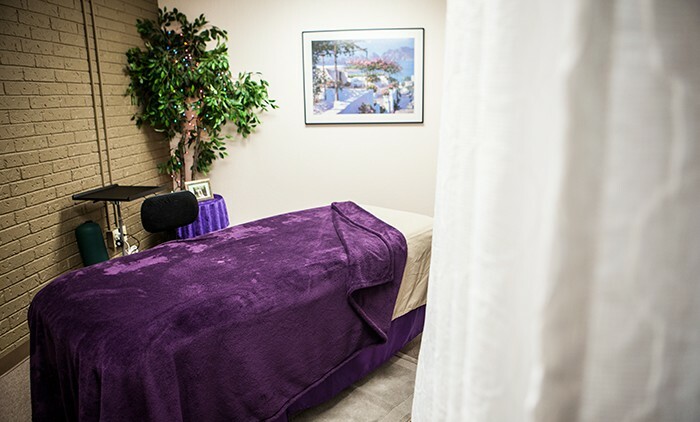 Relaxation your body craves while listening to soothing sounds completes the tranquil experience of body and mind. 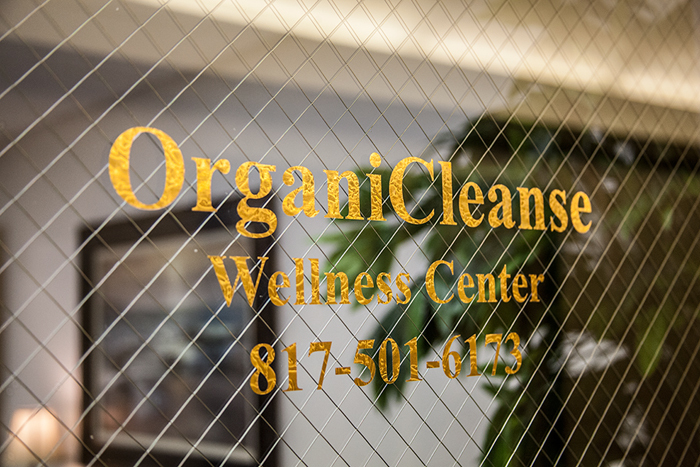 When booking your appointment please confirm you wish to receive the OrganiCleanse Health Boost! Arrive 15 minutes early to your appointment for a free treatment on the Chi Machine and Oxgen Therapy to enhance you session. The Chi Machine Increases your Oxygen, Energy and Circulation in 5 Minutes! 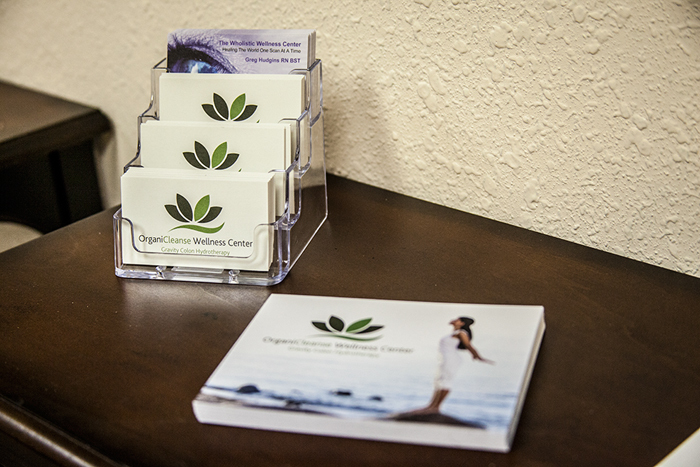 OrganiCleanse Wellness Center supports health conscious individuals by offering a range of holistic services to help improve your overall health and wellbeing. 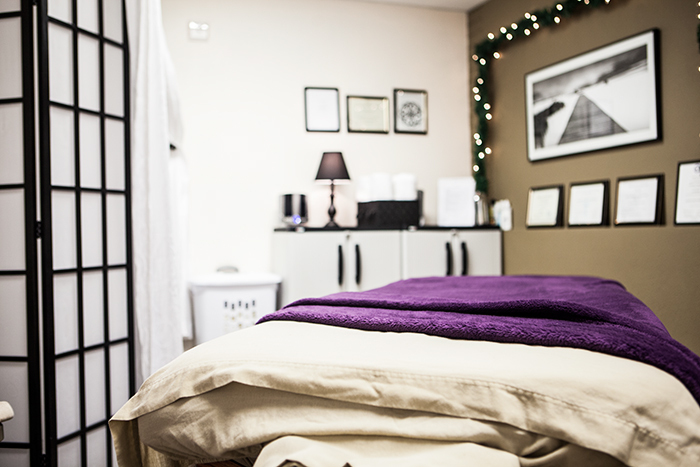 As an added benefit we offer free Chi Machine sessions before each paid service. I encourage them to remain still after the machine shuts off until I come to get them. Calming music is playing in the background to add to their relaxation. I find this helps them relax and get prepared for the session ahead which is always more effective since they are already in a more calmative state. It is my option that the Sun Ancon Chi Machine is a lifelong tool to good health. The body has a automatic response to cell injury, primarily inflammation. The actions of the cardiovascular, immune, and nervous system enhance repair to the cell injury. I am convinced the Sun Ancon Chi Machine, while causing no stress to the heart, increases the flow of oxygen of the blood and eliminates stagnation of lymph fluids. The rhythm enables the circulation of these fluid systems, which over time will cause a significant loss of weight when used on a regular daily basis. I highly recommend the Sun Ancon Chi Machine as a tool to achieve better health. In the event you wish to purchase a Sun Ancon Chi Machine for home use, please contact the office for sales details. We sell only the Original Sun Ancon Chi Machine that includes a 14 day unconditional money back guarantee – 100% satisfaction or your money back. HTE USA™ products are considered to be passive aerobic exercisers. Its products are not intended to cure, diagnose, prevent, or treat diseases. Please consult with a certified and licensed health professional before attempting any alternative therapies, exercises or treatments. HTE USA™ does not promote the cure or prevention of diseases by using its devices; HTE USA™ is not responsible for any statement made by users who have experienced relief from diseases and/or claim to be cured by our devices. HTE USA™ does not encourage its independent distributors to promote its products as healing devices. 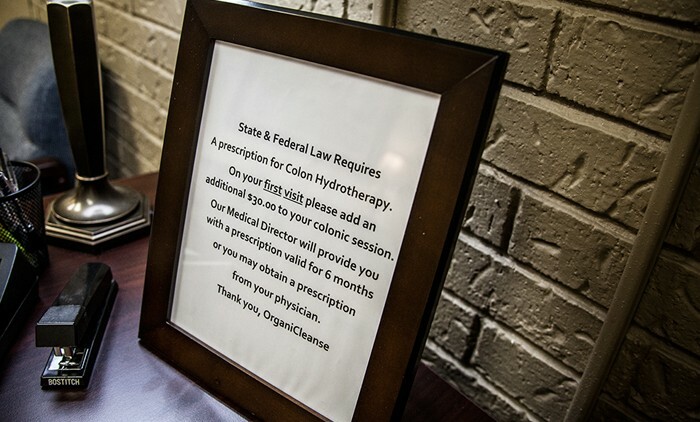 State and Federal law requires a prescription for colon hydrotherapy. 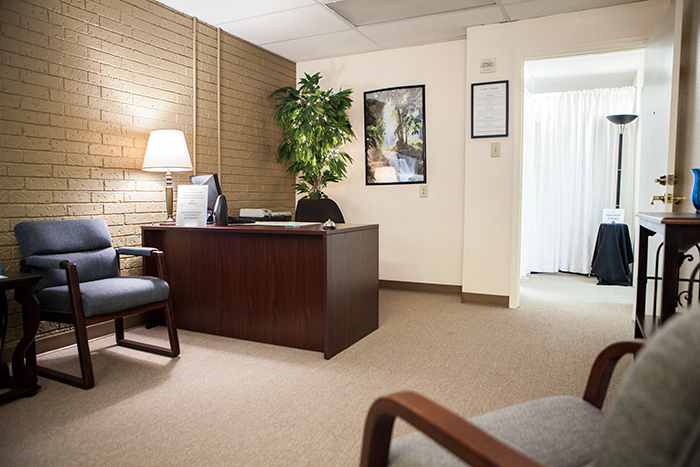 On your first visit, add an additional $30 to your colonic session. Our medical director will provide you with a prescription valid for 6 months or you may obtain a prescription from your physician. Chi Machine – 15 minutes – Free with paid service. 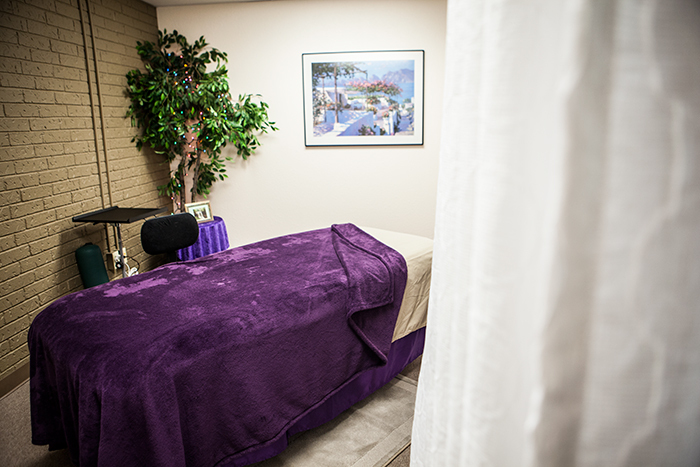 Clients must arrive 15 minutes early to your appointment for this free session. The chi machine helps calm and relax you, relieves stress and improves circulation. OrganiCleanse Rewards Program: Get paid for who you know! You can receive a “free” foot soak for your paid client referral ($40.00 value) or you can receive $10.00 off your next service with a paid client referral. Please contact the office for details on the the rewards program. Prepaid packages available upon request. 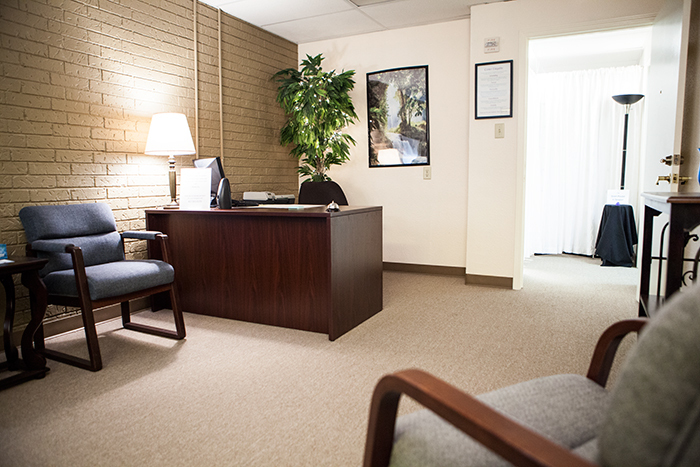 First time clients, please arrive 15 minutes prior to your scheduled appointment. 24-Hour notice is required for all appointment cancellations. Scheduled appointments that are no shows or less than 24 hour notice will be charged full price. Late arrival, a phone call is required. Based on current schedule your session time could be cut short. All packages expire within 6 months of the date of purchase and are non refundable. All NSF checks are subject to $35.00 charge. Any and all information are for educational purposes only and are NOT intended to diagnose, treat, cure, prevent disease or replace the advice of a licensed health care practitioner. 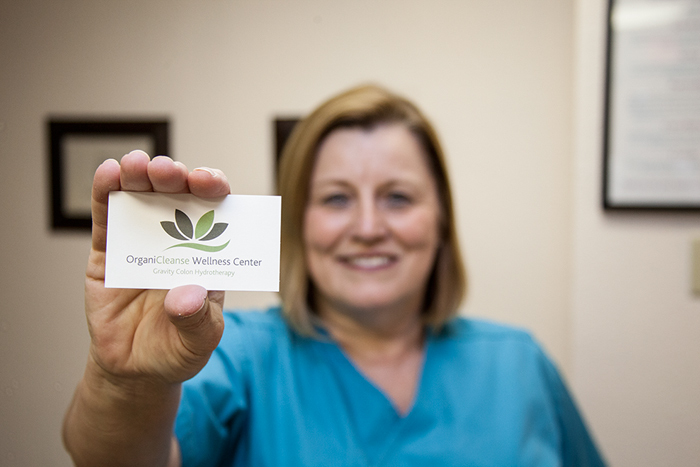 OrganiCleanse Wellness Center does not dispense medical advice, prescribe, or diagnose illness. Any views or ideas expressed by the OrganiCleanse Wellness Center are not intended to be a substitute for conventional medical advice or services. If you have a severe medical condition, please consult a licensed health care practitioner. 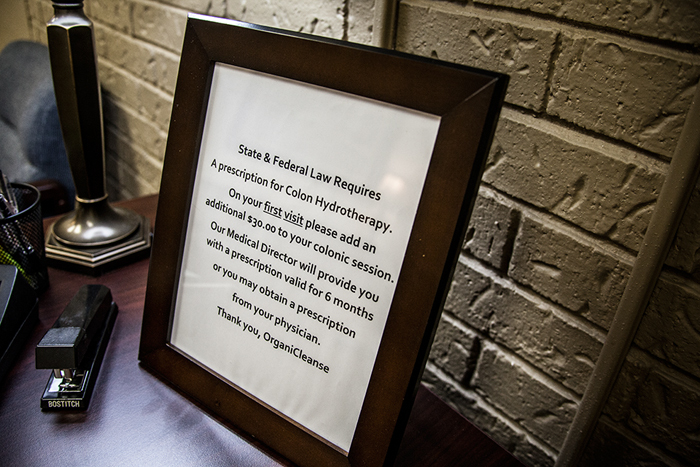 Colon Hydrotherapy is not a medical procedure. We specifically do not and are not allowed to claim any medical benefits of those who have this these type of therapies done. 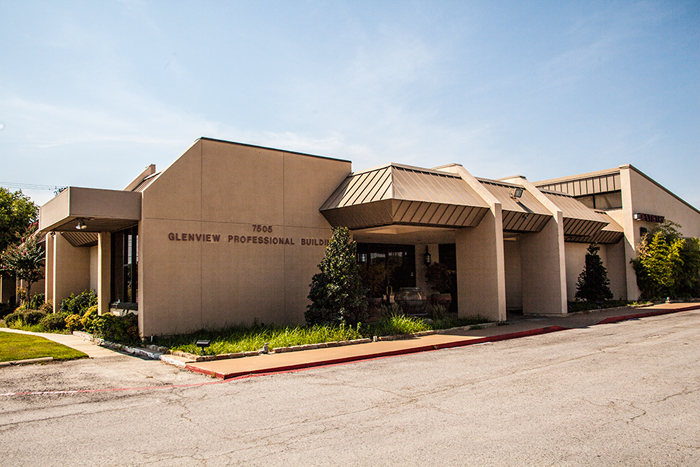 Take a quick photo tour of the OrganiCleanse Wellness Center, located in the Glenview Professional Building. 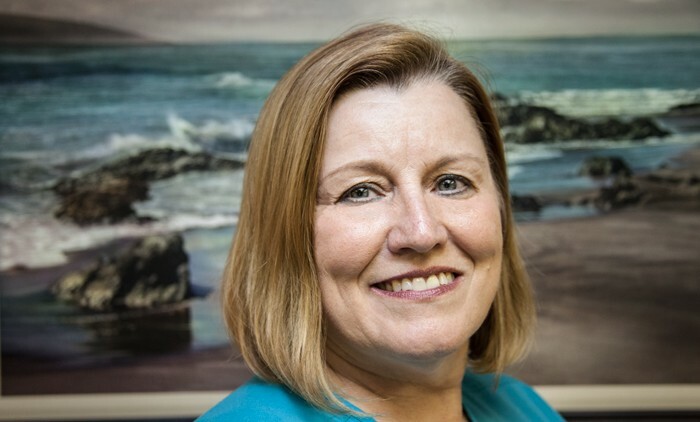 My name is Teresa McAlister and I have been involved in health and healing since 1994. Through the years I have been doing cleansing and colon irrigation therapy on a variety of systems. I switched to the gravity based closed system because I’ve found that it provides a superior release and a much better overall colonic experience than the pressure systems. It’s a more gentle approach to colon cleansing. 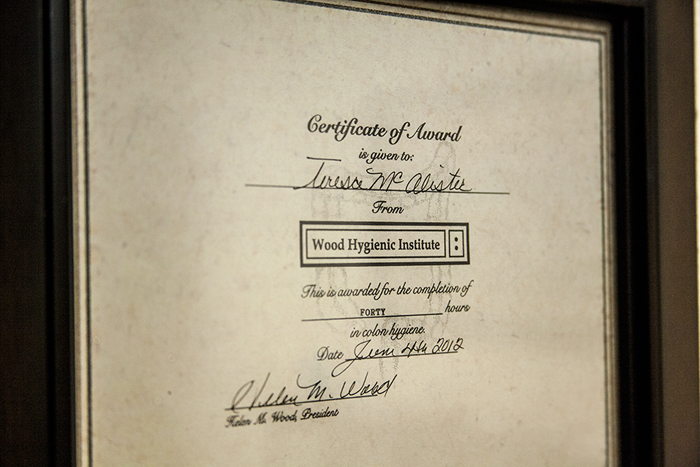 I am certified through the Wood Hygienic Institute, the first state licensed school of colon therapy using the gravity flow system, in the country. I am also a Level 1 practitioner in Lymphatic Drainage using the Lymphstar Pro Light Therapy System. My own healing has brought me into this field of practice. My bedside manner has brought me many clients and friends. I feel truly honored to be a part of the healing journey of others, who wish to finally take control of their health. How will I feel during and after a Colon Hydrotherapy session? people may experience minor cramping which is usually because of tension and/or gas. The Woods Hygienic System uses a Gravity Based Method which greatly reduces the potential for cramping as opposed to the pressure colonic machines which force water into the colon. Some people may experience minor fatigue while others feel wonderful. 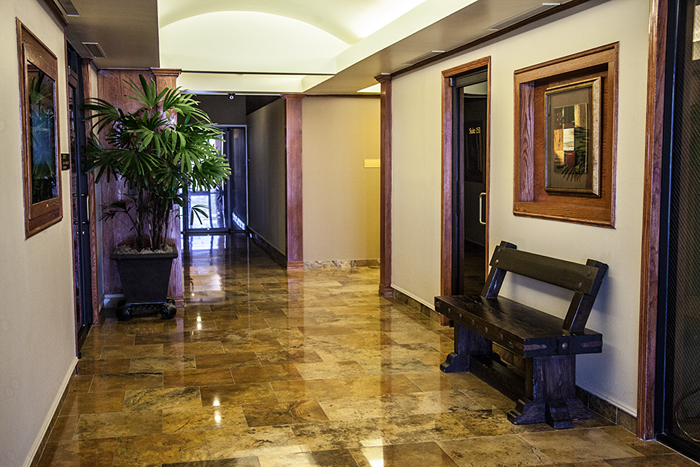 Most clients feel light on their feet and clean. If you are hungry after the session, feel free to eat something light such as a salad, soup, fruit or fruit juices. Will one Colon Hydrotherapy session clean my colon? forward to their upcoming sessions and many come in weekly. There is no required number as if varies from person to person. 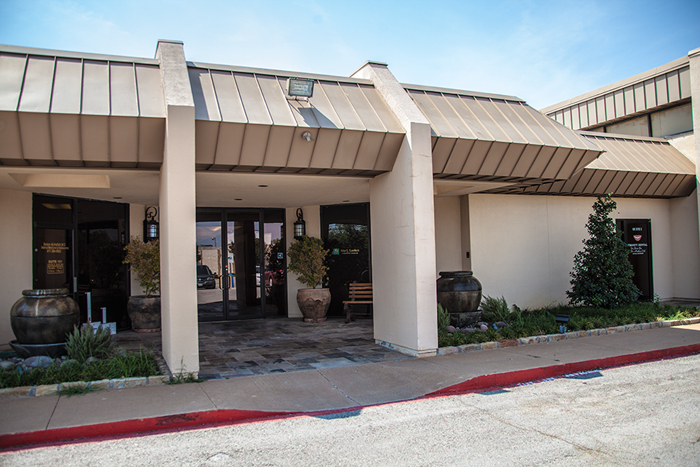 We typically recommend at least three colonic sessions approximately one week apart. 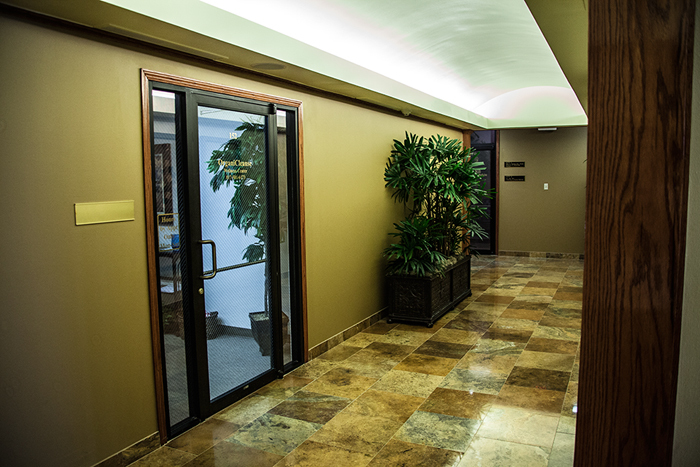 Our ultimate goal is to address your specific health issues. We provide you with the information you need such as nutritional advice, supplements, knowledge and understanding. We strive to empower YOU to improve your own health. 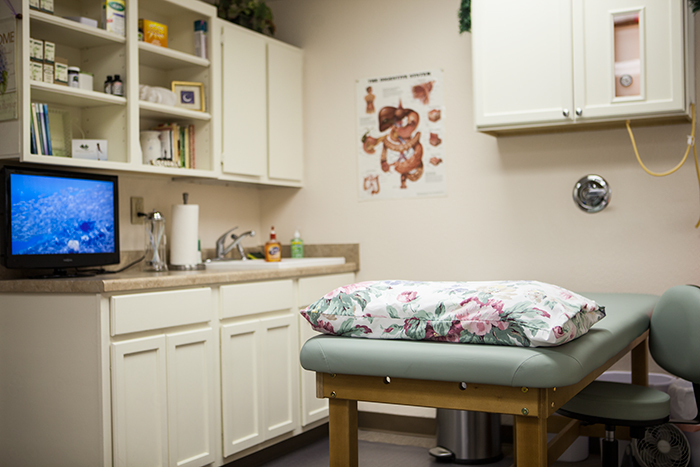 What is the difference between Colon Hydrotherapy and enemas? An Enema requires you to hold a greater amount of water. It keeps you from relaxing and strains the abdominal muscles. In addition, Enemas only work on the lower bowel area, the first 8 – 12 inches approximately. 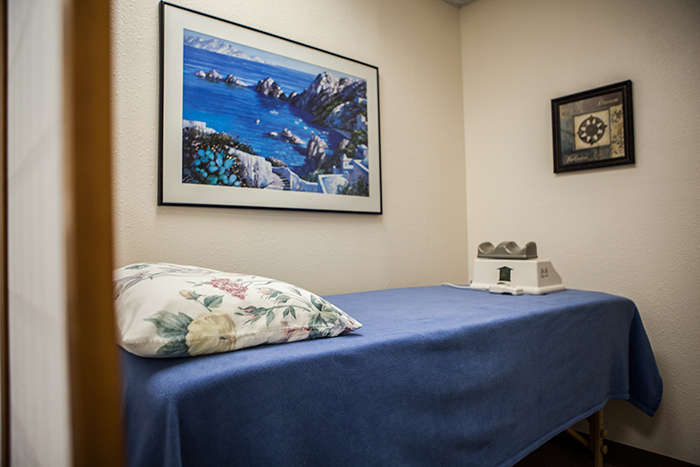 During a Colon Hydrotherapy session the client lays comfortably on their back with their knees slightly elevated. It is not necessary for the client to hold on to the water tube or speculum. You do not have to direct water through the tubes. All of this is handled by your Colon Hydrotherapists. They allow a small amount of water to irrigate the colon and simultaneously release. 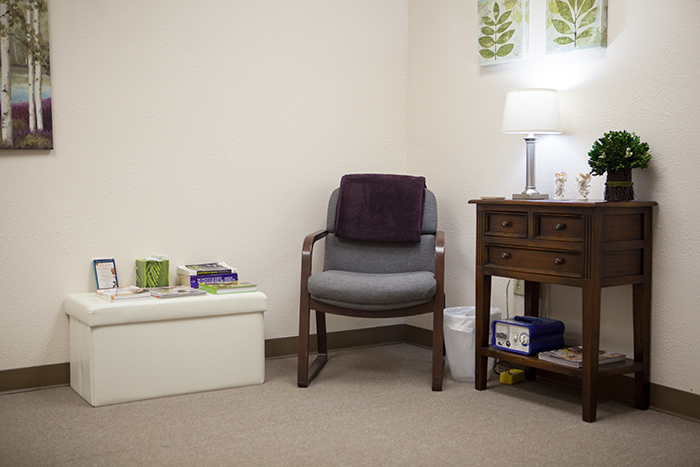 A typical colonic will last from 30 – 45 minutes. 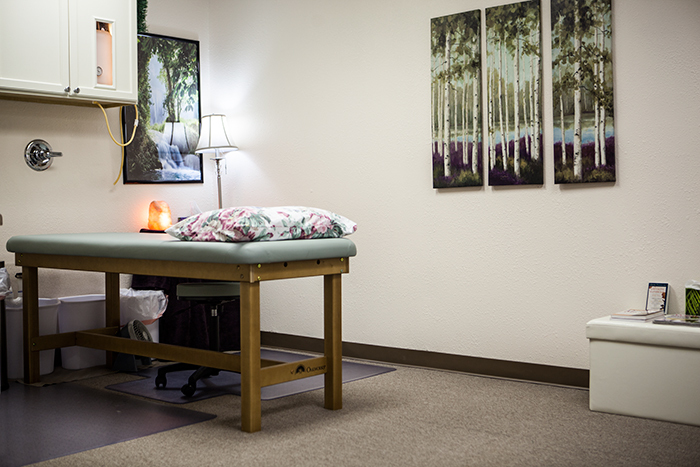 Your therapists repeats this procedure utilizing abdominal pressure points, massage, breathing and relaxation. The amount of toxic waste removed from the colon is significantly more than an enema. 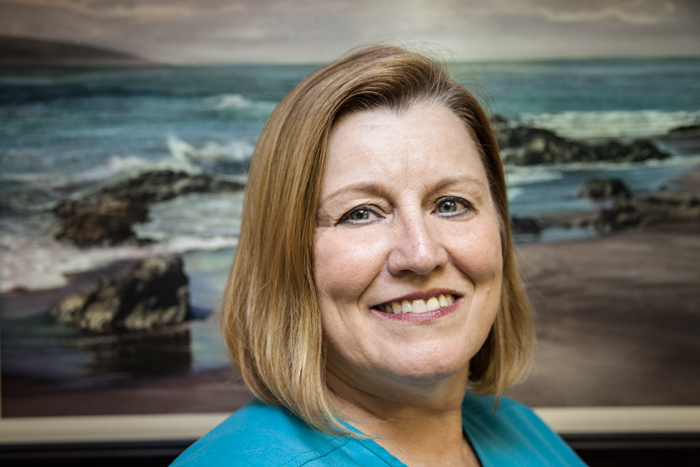 Will I be “hooked” on Colon Hydrotherapy? and encourage you to develop your own healthy lifestyle. Will Colon Hydrotherapy also eliminate good intestinal flora? Good intestinal bacteria thrives in a clean colon. Elimination of toxic waste stuck on the colon walls will actually improve the development of good bacteria in your colon. Healthy nutrients will be absorbed more efficiently. During a series of Colon Hydrotherapy sessions we recommend probiotic supplements to help your good bacteria thrive and help your colon revitalize itself. What about the water used in the Colon Therapy session? result is pure, sterilized water. Stage 1 – 5 micron sediment removes dirt, sediments, sand, rust and other physical particles. Stage 2 – 0.5 micron EPCB carbon block pre-filter removes organic chemicals, chlorine, heavy metals, gasoline, Cryptosporidium and Giardia. Stage 3 – Ultra violet light disinfection system removes waterborne pathogenic organisms causing illness or contamination. The UV system kills bacteria, viruses, and other pathogens by preventing them from reproducing, resulting in save water. The final result is greater than 99.9% kill rate, no chemicals added to water and removes bad tastes and odor.